This time of year is fun in the garden because of the bright colors of green and red that you are working with. You may think it is time to slow down for the winter but you are wrong. There are still plenty of things you can do to make sure that your garden planters & area will still look lovely but that you can be prepared for next Spring. Here are a few suggestions. 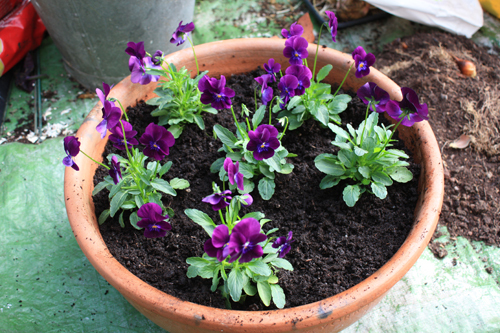 Add these bright Viola blooms to containers and flowerbeds to allow roots to become established before colder weather sets in. Set transplants in a sunny spot in rich well-drained soil When planting in garden containers and planters, good drainage is very important. Other flowers you can plant as companions include snapdragons, sweet Williams, calendulas, and sweet alyssums. Mix in fun things like cabbage, kale or parsley to complement to blooms. Feed plants with fertilizer. Simple and easy to do! Now is the time to divide your perennials. Whether in pots or the ground, dig up and divide your daisies, irises, hostas and daylilies. A garden fork is the perfect tool for this. Set divided plants back into the pots or soil a the original growing depth, water and cover with garden mulch. All hand tools are perfect for using in potted garden containers. With the holidays approaching, fragrant paper white bulbs are favorites this time of year. These easy bulbs are so eager to grow that they don't even need to be planted in soil or a planter. Select a low profile glazed pot. It can be round or square even rectangle. Make sure it has a saucer that fits. Fill it part way with pebbles and then arrange the bulbs on top of the pebbles. You may need to add a few more pebbles to add extra support to the bulbs. Then add water so that it comes up to the base of the bulbs. The flowers should appear in 3 to 6 weeks. Are your trees sharing their leaves with you? I bet your yard is covered. Piles of leaves can become we blankets after rains. You don't want them to smother your grass or land on your potted plants and smother them. 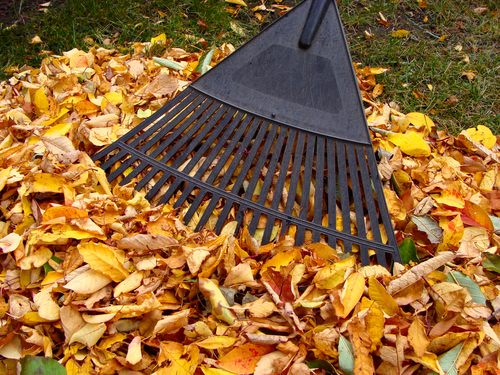 Rake them from your lawn regularly and pick them off the pots. Gather them and bag them. They will make great compost next spring and they will add nutrients to your potted soil. 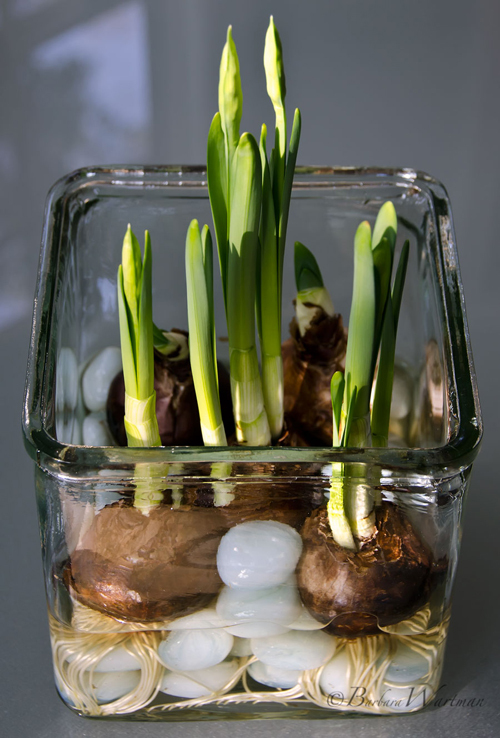 Read more..... "How to force Paperwhites"
Read more..... "The secret to bulbs"